A NIOSH investigation of a medical cannabis facility identified several engineering and administrative controls to help reduce potential occupational exposures to cannabis components such as delta-9 tetrahydrocannabinol, delta-9 tetrahydrocannabinol acid, cannabidiol, and cannabinol. Surface wipe samples collected throughout the facility detected concentrations of all these components. The agency’s evaluation also focused on potential exposures to volatile organic compounds; endotoxins; and fungi and bacteria. 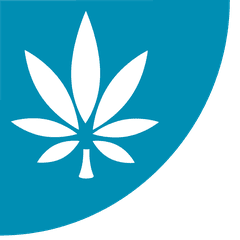 At the time of NIOSH’s visit, the Minnesota facility, which included an indoor and outdoor grow operation, employed 13 workers who grew, harvested, and processed cannabis. The state of Minnesota has legalized cannabis for medical use. NIOSH’s health hazard evaluation report notes that the health implications for occupational exposure to cannabis components are unknown. For delta-9-tetrahydrocannabinol—the psychoactive component of cannabis—specifically, the agency’s report states that the health effects from long-term occupational exposures are not known “in part because occupational exposures to [delta-9-tetrahydrocannabinol] are thought to be predominantly through skin absorption and ingestion.” According to NIOSH, past research on delta-9-tetrahydrocannabinol and health effects has focused primarily on inhalation in nonoccupational settings. Agency staff also identified diacetyl and 2,3-pentanedione in screening air samples, but those results were deemed inconclusive due to the differences between the two sampling and analytical methods used during the evaluation: the partially validated evacuated canister method and the standard, validated OSHA method. According to NIOSH’s HHE report, none of the exposures to diacetyl or 2,3-pentanedione in the air were at or above the lowest occupational exposure limit for full-shift air samples. Exposures to diacetyl and 2,3-pentanedione—naturally occurring VOCs—have been shown to cause airway epithelial damage in laboratory studies. Other health effects of occupational exposure to the chemicals include irritation of the skin, eyes, and respiratory tract. Further air sampling for microbial biodiversity found exposures to microbial fungus and endotoxins. These exposures can increase employees’ risk of allergic and respiratory symptoms. Personal air sampling results for endotoxins ranged from none detected to 85 endotoxin units per cubic meter, which were all lower than the recommended limit of 90 EU/m3 promulgated by the Dutch Expert Committee on Occupational Safety. No OELs for endotoxins have been established in the U.S. The highest endotoxin concentration from area air sampling was 94 EU/m3 in the grinding room. NIOSH could not compare this result to the Dutch exposure limit because it was an area sample that does not directly correspond to personal exposure. “However, this sample result indicates that if grinding tasks were performed for longer periods of time, employees could potentially be overexposed to endotoxins,” the agency report explains. NIOSH recommends that the employer install local exhaust ventilation to reduce exposures, especially during grinding operations. The agency also suggests moving the decarboxylation process to a seldom-occupied area in the facility to prevent unnecessary exposures to diacetyl and 2,3-pentanedione. (The report explains that decarboxylation is achieved through aging or applying heat to cannabis.) The employer should limit access to the areas where higher exposure tasks are occurring and develop a cleaning schedule to remove cannabis components from work and tool surfaces. Read the full HHE report (PDF) to view all of NIOSH’s recommendations. NIOSH’s health hazard evaluation report notes that the health implications for occupational exposure to cannabis components are unknown.